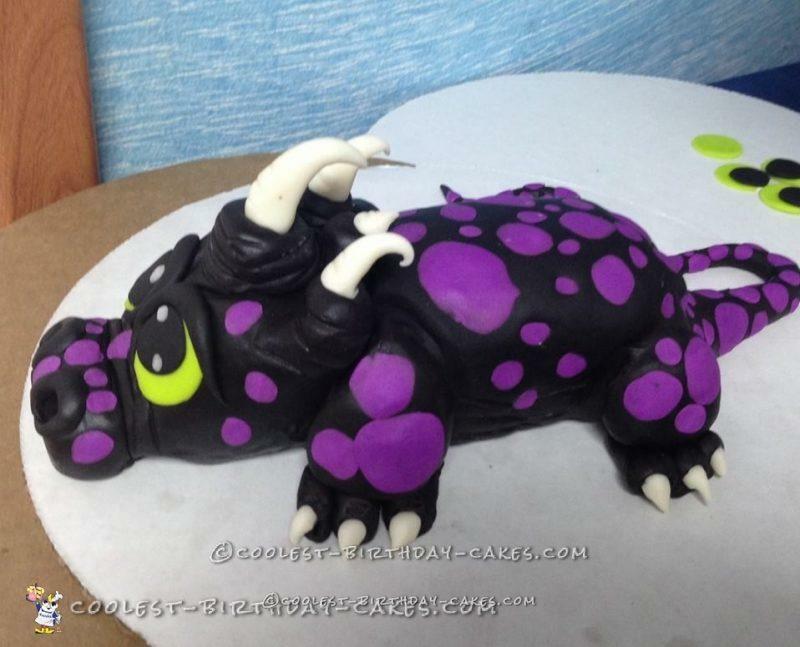 I made a momma and a baby dragon cake and I entered them as a whole unit for a cake competition in April, winning a blue and best use of color award. I was thrilled with the baby, so that is why I am sharing him. 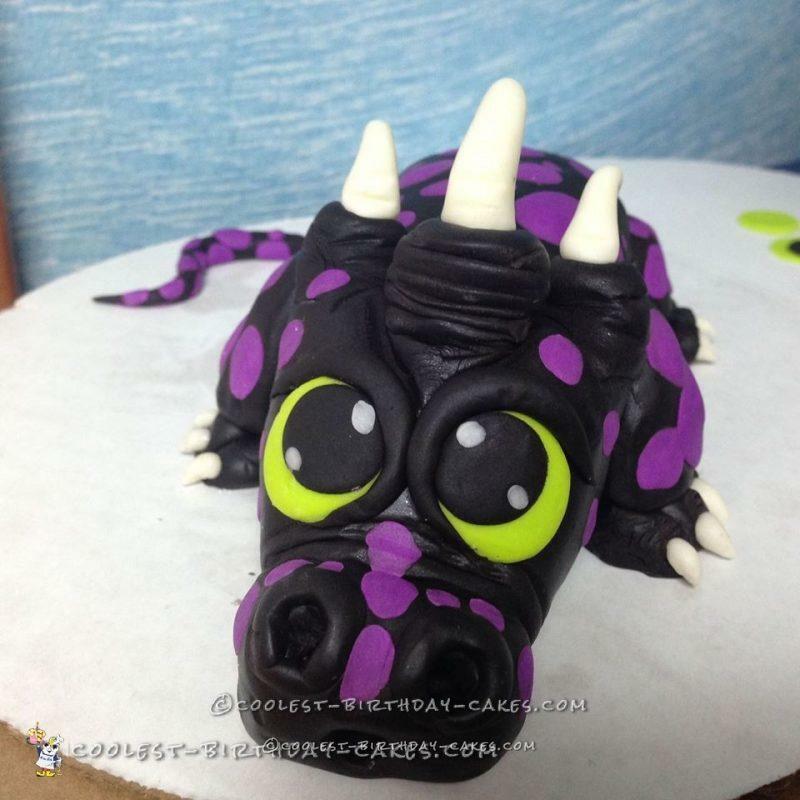 I used chocolate modeling clay and fondant to build the baby. The body is one piece and not several pieces hooked together. 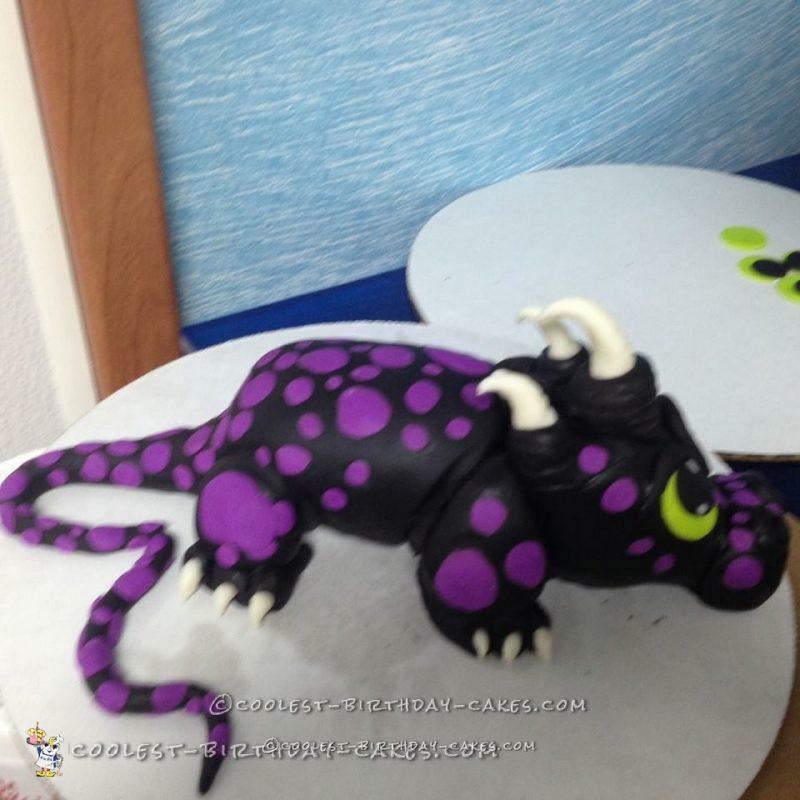 I mixed 1/2 fondant and 1/2 chocolate clay so I could not only cover the cake, but pull in the tail and cover the legs all in one covering with one piece, creating a neat effect with the legs as well as the tail. For the nails and horns I used chocolate clay to get the effect I was looking for. 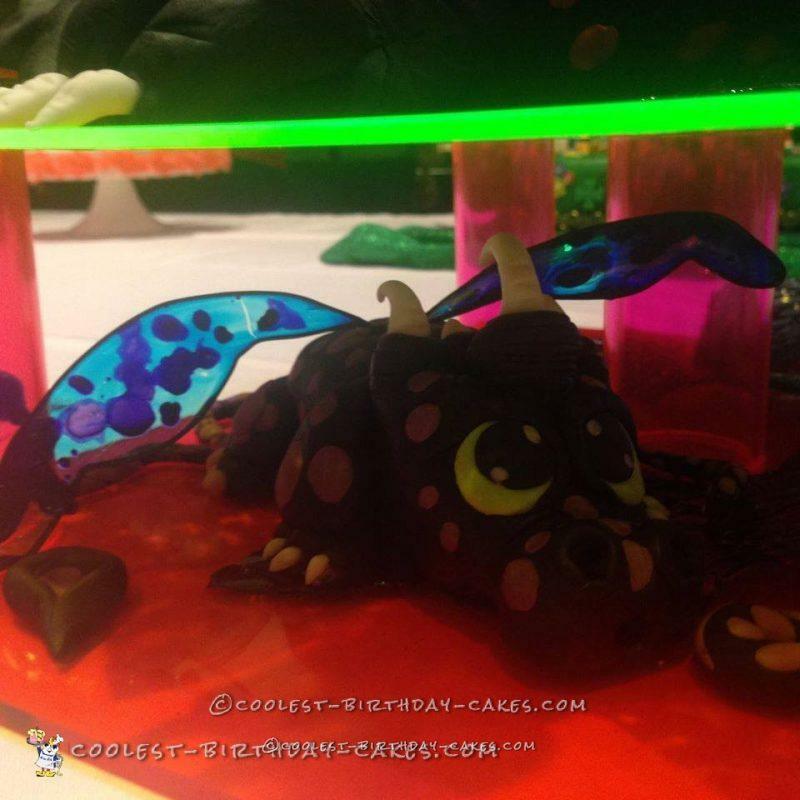 You can see in the last picture that I also added on gelatin wings. The head is separate and added on making this cake two pieces instead of seven.